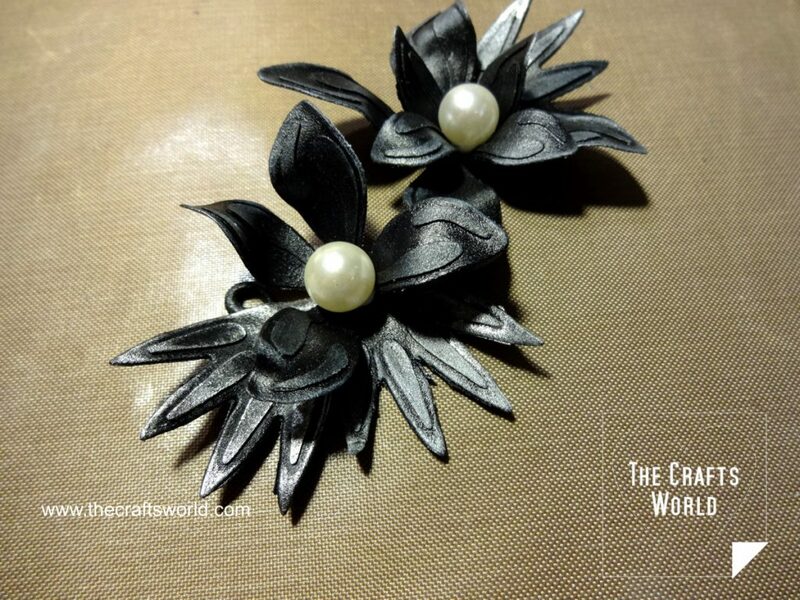 Kyriakos of Crafts World has been experimenting with Worbla for various projects with fantastic results. 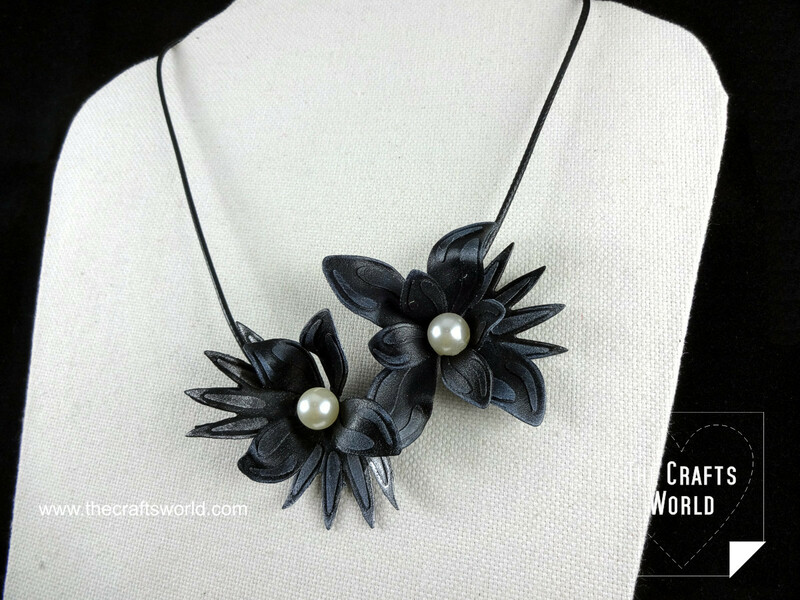 Below is flower necklace he created with Worbla’s Black Art and some paper dies, a real statement piece! Heat a small piece of the Worbla sheet with the heat gun. Place in on the non-stick sheet and using a round tool (working with a metallic one proved much easier) spread the Worbla sheet making it even thinner. 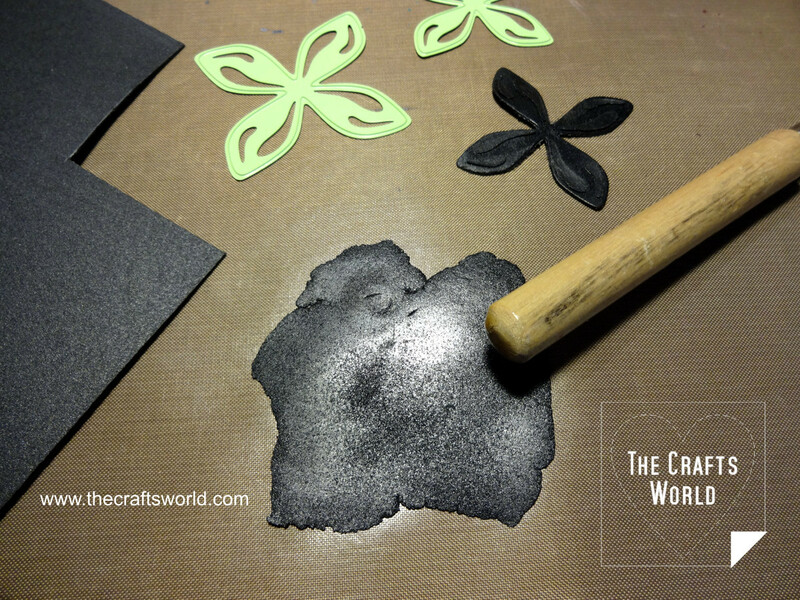 Use the die cutting machine to cut the flowers and leaves. 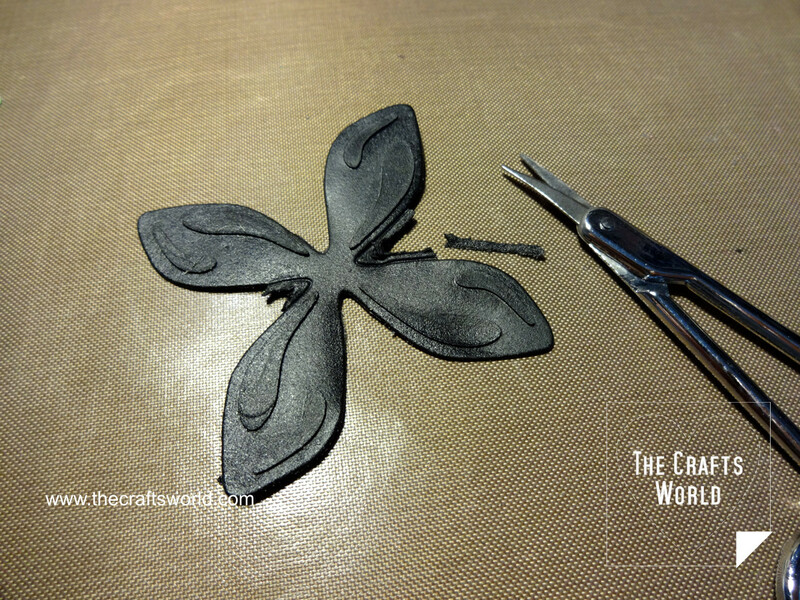 If the die cut piece is not clear, just remove the edges with a small scissor. Heat a bit the flowers and form them. 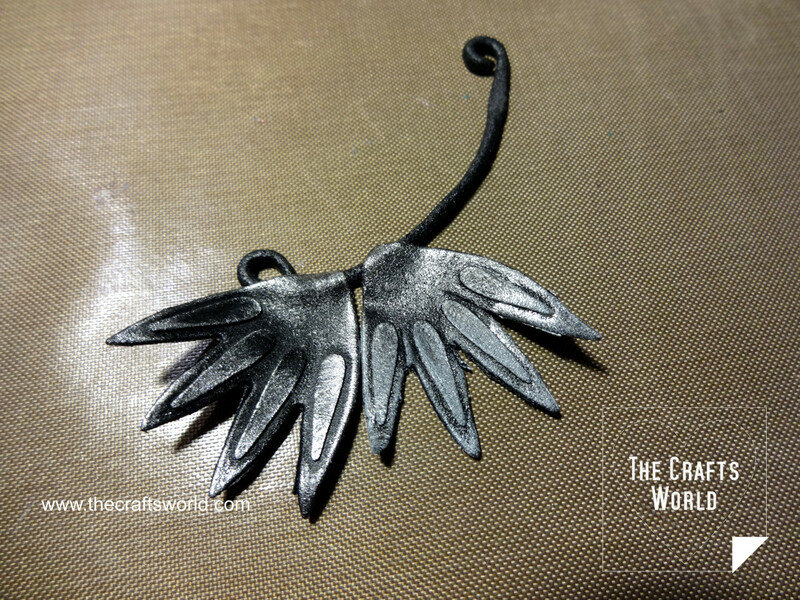 Tip: the thinner the Worbla sheet the clearer the cutting. Wait for it to cool down and harden before removing it from the die. Distress the flowers with the white ink and the leaves with the silver one. 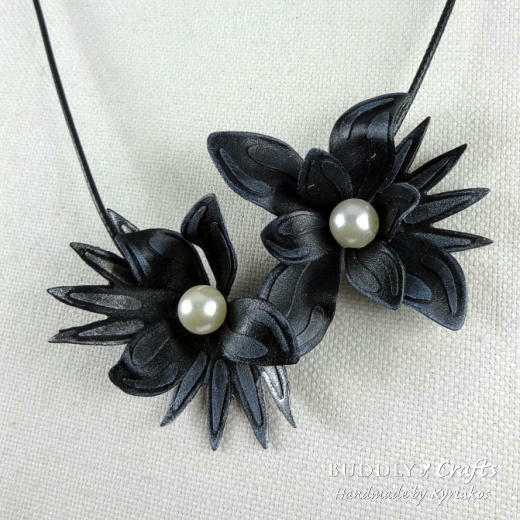 Warm some Worbla sheet and form a cord of about 8cm long. 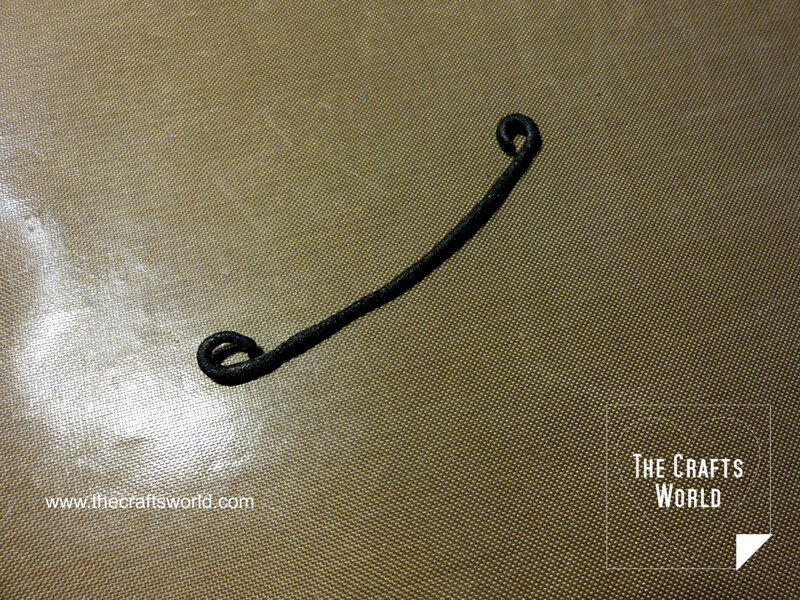 Curl the edges to form hanger hooks. 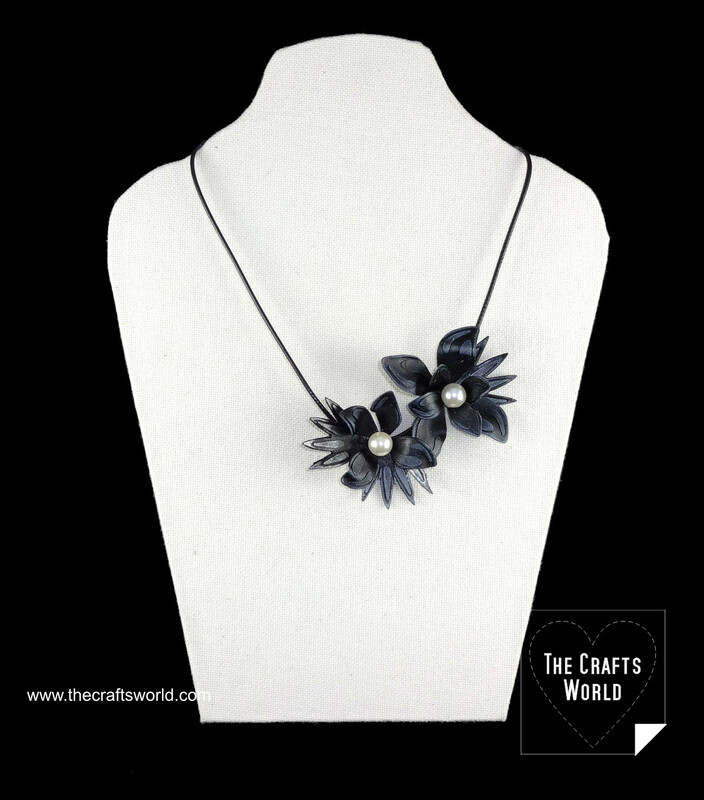 Add a pearl in the centre of the flowers with the jewellery glue. 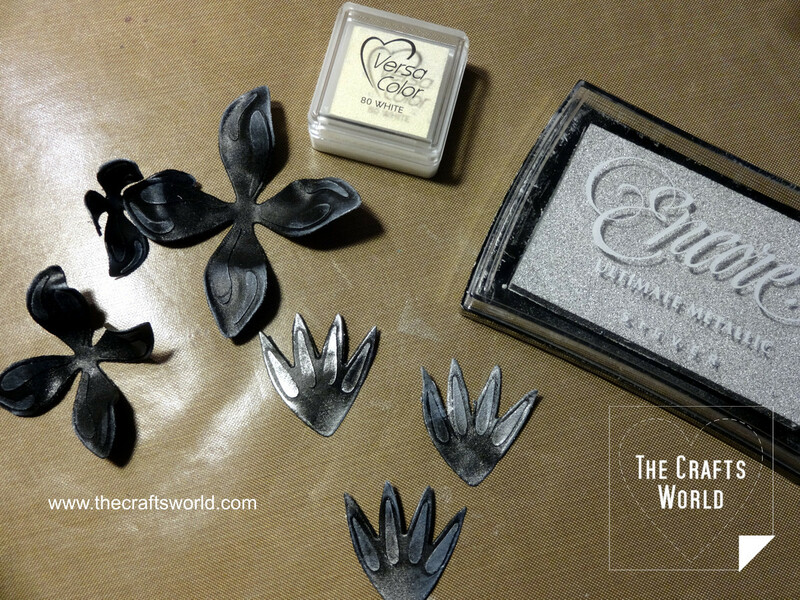 Thanks again to Kyriakos for sharing this tutorial. You can find their work on Facebook, Instagram, and Pinterest.